Nritarutya is captured in the city scape of Bengaluru/Bangalore in the context of art and cultural impressions of the city. ‘This book is collection of projections from my conscious and unconscious mind. Through my photographs, I have explored how the city has changed in the last 25 years. This is also an impassioned plea to support the arts and creativity to drive the true growth of Bangalore. 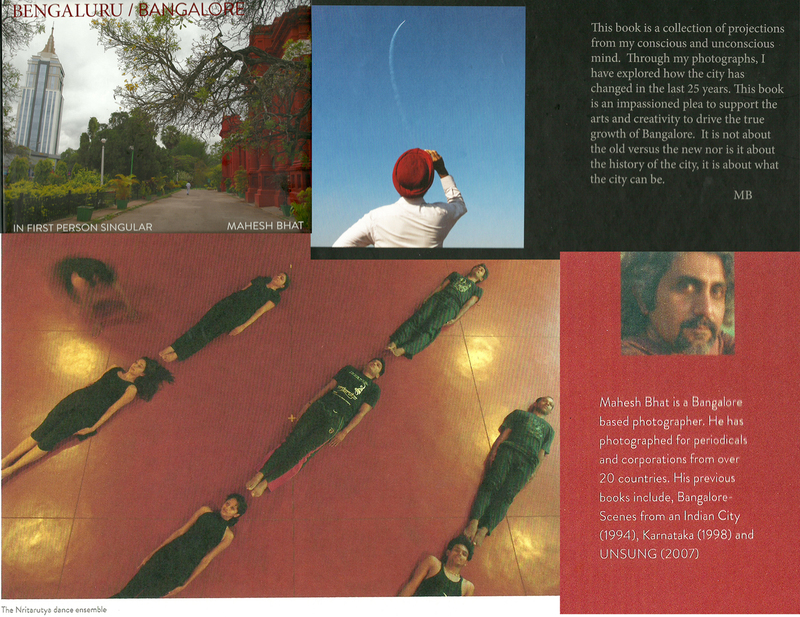 It is not about the old versus the new nor is it about the history of the city, it is about what the city can be – Mahesh Bhat “If Bangalore was a song and the lyrics were the ages the city has seen— this book, quite incomparably, is the tune the city has been searching for all these years”.